Clay X 3, featuring the works of clay artists Maria Teresa Rode, Catherine Schmid-Maybach, and Ariane Leiter, will be on display at the SLO Museum of Art through Jan. 20. 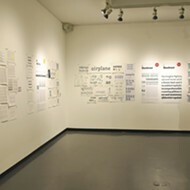 Visit sloma.org for more information. Three girls walked into an art program at San Francisco State University and, decades later, three women's artwork is on display in a gallery at the San Luis Obispo Museum of Art. 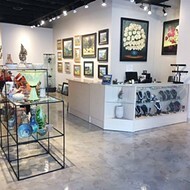 Clay X 3, currently on display at the museum, features the works of San Francisco artist Maria Teresa Rode, Reno artist Catherine Schmid-Maybach, and Atascadero artist Ariane Leiter. All three women use clay as their main medium and met in art school as graduate students in San Francisco in the 1980s. Rose said the three spent many a late night together working on art projects. LAYERS Reno-based artist Catherine Schmid-Maybach creates tablets using clay and images, the piece taking whatever shape it will. "The thing about ceramics is it really works well in a communal setting," Rode said. "You're all together and you share tools and ideas." PORCELAIN CITY San Francisco clay artist Maria Teresa Rode created her clay piece, Silk Rose, when she traveled to China to learn how to make large-scale porcelain paintings. 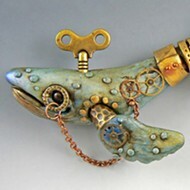 Each artist creates a different expression with clay. Rode's work uses images, patterning, and brilliantly colored glazing on clay slabs. Schmid-Maybach crafts sculptural slabs that appear to be layered with black and white photos. And Leiter makes large-scale sculptural vessels. 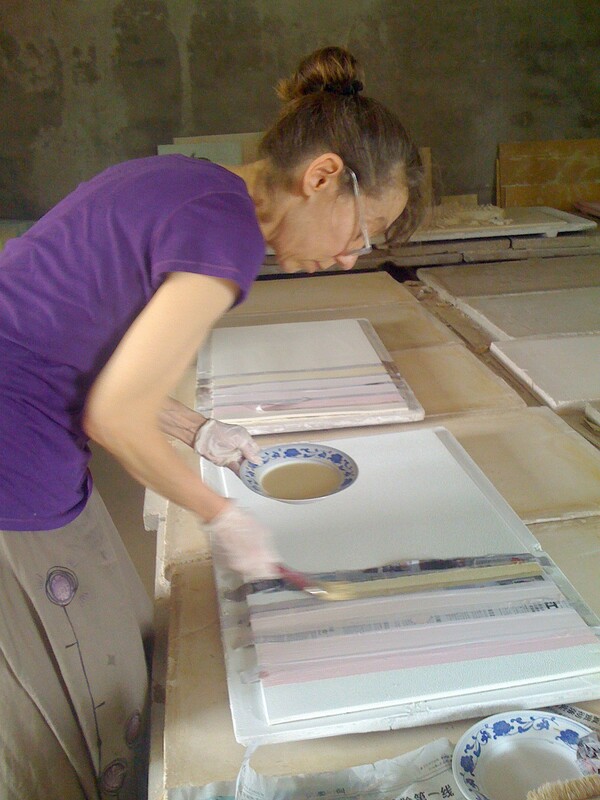 Rode's piece, Silk Rose, was created on a trip to Jingdezhen, China, also known as the Porcelain City, where she learned how to make large-scale porcelain paintings. 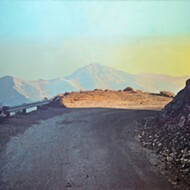 Much of her work combines Western and Eastern ideas of modern imagery. "They were very generous with me [in China]," Rode said. "I learned a lot even though we didn't speak the same language. People there were very generous with their knowledge and their tools." 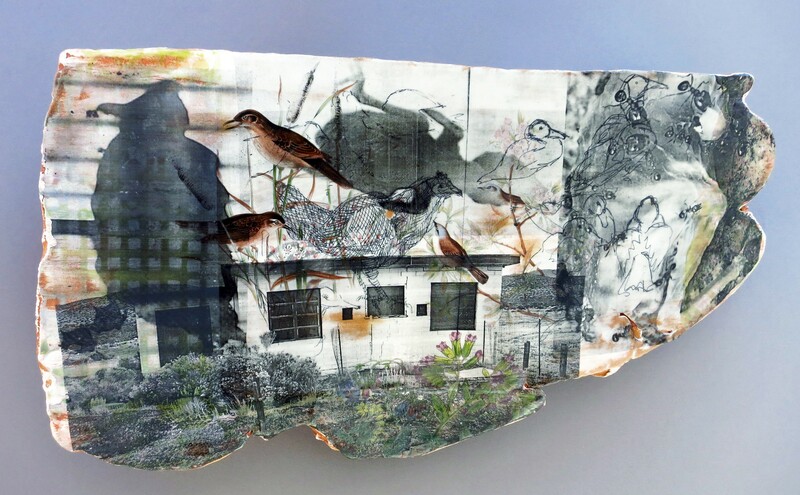 Schmid-Maybach's sculptural slabs, like Birdland, feature clay and photos or drawings that have been fired in the kiln multiple times to achieve an almost collage-like effect. "I consider the work narrative," Schmid-Maybach said. "So they're about stories. The images from different parts of my life collide. Sometimes they're vague enough that other people can relate." And Leiter's pieces, like Earth/Grow, are often large-scale vessels featuring clay and bronze that mimic textures found in nature and the city. All of Leiter's vessels are formed from coils, which she described as "making snakes with clay," and then connecting them to build a structure. One of her bigger pieces can take several months to complete. Arts Writer Ryah Cooley doesn't mind getting her hands dirty. Contact her at rcooley@newtimesslo.com.